Welcome! 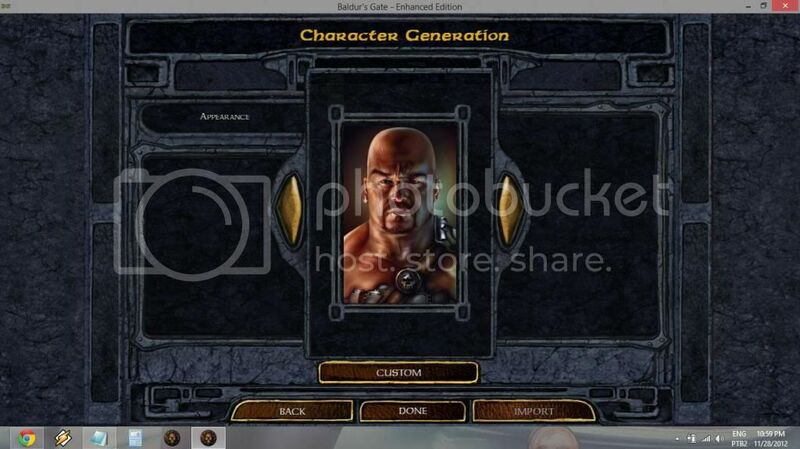 In this guide I’m going to show you how to create and select your own portraits for all Infinity Engine games (Baldur’s Gate and Icewind Dale series, Original and Enhanced Editions). In the Infinity Engine games, portraits are shown in the Record screen (large) and in the sidebar (small). To give your character a custom portrait, you will need either one or two image files, depending on the version of the game you’re playing (original or EE) and on whether you want the small and large portraits to look different from each other. Please note that whenever I mention “the originals” this includes Icewind Dale II, since it doesn’t have an Enhanced Edition. For the original Baldur’s Gate and Icewind Dale games, you need two images (large and small). For the Enhanced Editions, you need only one image (large), unless you want the sidebar portrait to look different, in which case you need the small one as well. I don’t know how to crop or resize images. Can you help me? I don’t know how to save or convert images to BMP. Can you help me? To tell the truth, portraits with dimensions other than these will work in the EEs as long as they’re not over 1024 pixels wide. However, they will be squeezed (or stretched) to fit (or fill) the portrait area if the aspect ratio is not right. Your portrait images need to be in the Bitmap format (BMP file extension). This shouldn’t be a problem – pretty much any image editor will let you save in that format. Remember: simply changing the file extension by renaming it (from PNG or JPG or whatever) will not work. You must save the image as a BMP. Due to a bug in the EEs, filenames can't be longer than 7, instead of 8 characters. Remember that in the EEs, in order for a character to have a different small portrait, the name needs to be identical to the large one (except for the L and M letters, of course). Now that your custom portraits are ready to go, you have to put them in a folder where the game can find them. This folder is always named “Portraits” and its location varies depending on the game. If you’re playing the originals, go to your game installation folder. If you don’t know where that is, check out the tips inside the spoiler tag. If you have used GoG Galaxy, you can go to the installation folder by selecting your game in the client and clicking More, then Manage Installation, then Show Folder. If you have used the Classic Installer, the default install location is a folder named after the game, under C:\GoG. The default install location for the CD/DVD versions is a folder named after the game under C:\Program Files (x86)\Black Isle. By the way: if you’re using Windows Vista, 7, 8 or 10, I strongly recommend you to reinstall the games anywhere outside of the Program Files folder. These modern versions of Windows (excuse me for calling Vista “modern”) have User Account Control, which will make your saved games hard to find (tucked away in a hidden folder) and cause problems when installing mods. There’s a last resource - use the search function of your operating system to look for a file named CHITIN.KEY. Any folders that contain that file are Infinity Engine game installation folders. If it doesn’t find anything, make sure it’s looking inside system/hidden folders. If you’re playing the Enhanced Editions, find the folder named after the game you’re playing (“Baldur’s Gate – Enhanced Edition”, “Icewind Dale – Enhanced Edition”, etc.) 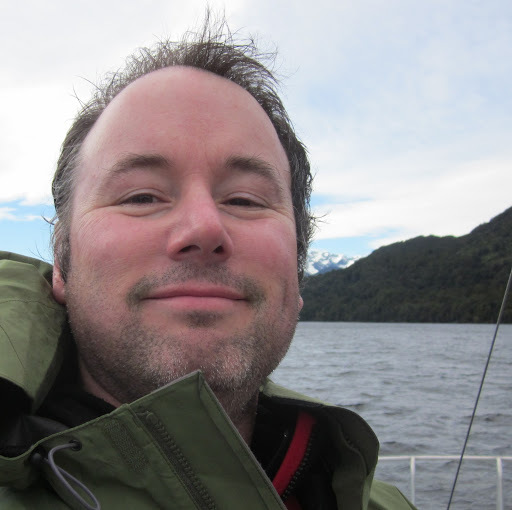 inside Documents (Windows), Libraries\Documents (MacOS) or ~/local/share (Linux). Create the Portraits folder in there if you don’t see one and place your portrait files inside it. Make sure the game is not running when you do it. If it’s too late for that, just restart the game. In the originals, once you get to the portrait selection menu, click the Custom button to open up a window in which you can select your large and small portraits from a list. In the Enhanced Editions, your custom portraits are placed along the stock portraits, at the end of the list. All the custom button does is to pop up an incomplete explanation that’s probably got you googling “baldurs gate how to use custom portraits”. Click the left arrow to see them right away. If you have included a small portrait, it will show up automatically on the sidebar. Go to the Record screen and click the Customize, then Appearance to bring up the portrait selection menu. Then follow the steps from “When creating a new character” above. When you start a new game with an imported character (or add them to your party while playing the original IWD), there’s no way to change their portrait from the Character Generation menu. You’ll have to start the game and then follow the steps for “When you have a game in progress”. After that, you may export the character again so you’ll have a copy that uses your custom portrait. 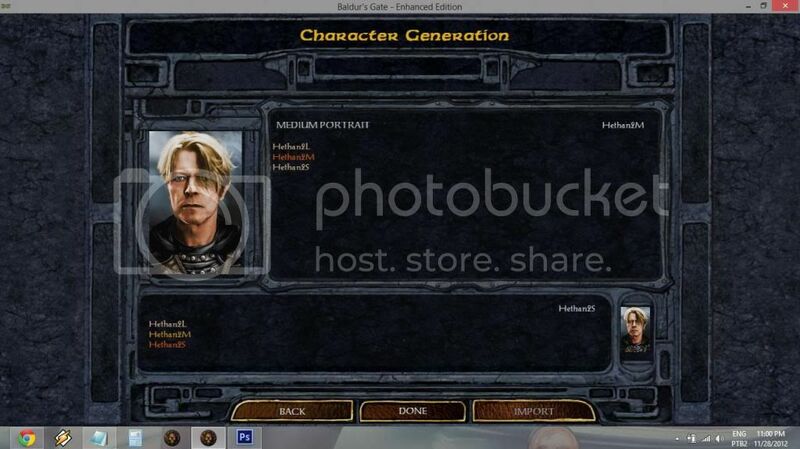 Alternatively, you can use a game editor such as EEKeeper to open your exported character and change their portrait. If playing the originals, you need older editors: Gate Keeper (BG), Shadow Keeper (BG2) and Dale Keeper (IWD) or Dale Keeper 2 (IWD2). Check again - does the filename have 8 characters or less? In the EEs: Is one of these characters the letter L or M? If you only have a file ending with M, it will not show up in the portrait selection screen. As I said earlier, the Infinity Engine is often finicky with filenames. I’ve seen people say they’ve had problems with using spaces, special characters, numbers and even mixing uppercase and lowercase letters. Try using only uppercase letters. The BMP files also need to be 24-bit. That’s usually the standard when saving BMP files, but depending on the image editor you’re using, you may want to double-check to see if there’s a prompt that lets you save it as 32-bit. If there is, save it again and make sure to choose either 24-bit or a lower value. Finally, if you’re in the EEs and using an image that’s bigger than 210 x 330 pixels, make sure it’s not wider than 1024 pixels. If you don’t know how to crop or resize images using an image editor, don’t worry. You can do that online in just a couple of minutes, no experience required. The site I recommend is ImageSplitter because it’s easy to use, requires no registration, doesn’t ask to use Flash and most importantly, already lets you save your image in the correct format (check step 2). As I said in step 2, pretty much any image editor will let you save your image as a BMP file. If you’re on Windows, open the file in Paint (or Paint 3D) and use Save As to save it as a Bitmap. On MacOS, it’s even easier – you can Save As from the image preview or the Photo app. If you’re on Linux, there must be a Microsoft Paint equivalent, such as Pinta or gnome-paint. In any case, you can always use an online converter such as this. That’s it! Let me know if you have any questions. Happy adventuring. You are a saint, sir. Also, I think they have to be 24-bit bitmaps. At least that was the way it was in the original. The resolution should be set to 200 dpi for best results. Otherwise, you've got it. I tried adding bitmaps of the proper size to "C:\Users\Administrator\Documents\Baldur's Gate - Enhanced Edition\override" but I didn't see them show up with the default picture selections and I see no button to access custom portraits. Am I missing something? Has anyone else been able to get custom portraits working? If so do share how you did so! @Nic_Mercy You need to create a folder called Portraits. It's step 2. Make sure they are Bitmaps (.bmp) - I never had issues regarding resolution, but JPEGs, GIFs, etc. won't work. Changing the file extension won't work either. You need to save the image as a bitmap using MSPaint, GIMP, Photoshop or a similar program. Also check if the filenames stay under 8 characters. That would 7, plus the final letter (L, M or S). Sounds need to go in your language directory at the location of the dialog.tlk your game is using. You will find a sounds folder in there. Adding sound sets to the specific language directory "sounds" folder did not make them show up in game. For those of you replying have you ACTUALLY gotten either to work yourselves? Or are you telling me what "should" work? There is no in game access button to the custom portraits (or at least i can't find it). Now see my game does not have that button for some weird reason... should I try to reinstall? Or is it something I have to enable? I have L, M and S all the right dimensions and bit depth and they're showing up under Custom - however when selected no picture appears... What am I doing wrong? I have already a custom portrait, I wanted to know how to adjust it to the right size. If anyone can tell how to do it, I will be very thankful. Anyone know where the NPC portraits are located now? I'd like to replace a few of them. FYI: I've noticed that when the small sized portrait is sized correctly (54X84), it will look wrong in the custom portraits preview (there will be empty space at the bottom and right of the small box) but it is the correct size and will display correctly in-game. I would post a screenshot but for some reason every single one of my custom portraits violates forum rules... I'm sure it's a coincidence. :P It is visible in Kilivitz's last post above this one. Under Home, click on the 'resize' tool. Click on Pixels and change the size to whatever it should be (ie: 54 horizontal 84 vertical for a small portrait). Make sure 'Maintain aspect ratio' is unclicked so you can get the exact size. Then click OK and save the file. Make sure the file type is set to 24 bit BMP or it will not show up/display correctly. I tried with and without the underscores in the file name. I don't know what else to try. Also, the file name (minus the L, M, or S) needs to be seven characters or fewer. What you've got there is eight characters long. The underscore is also unnecessary. I have window vista but I can't work it properly with paint, I don't know how to adjust it correctly. I'm having the same problem Nic is having. No custom button. @Nic_Mercy Make sure the file's name (including the M/L/S suffix) is eight or fewer characters long. The example you gave was 10 (with the underscore; 9 without). Mine still isn't working. Troubleshoot? Saved them all using paint, 24-bitmap, tried running in admin mode, nothing. Nevermind, got it to work. So, for custom sound sets, do we need to create a folder called "Sounds" in the same place we put our custom portraits and put the .wav files in there? I still need help for my custom portrait. I am running on window vista so I don't know how to adjust it correctly with this version of paint.